A scarce aquatint engraving by William Nichols and Bluck after the painting by Philip Reinagle (1749-1833, RA) and published in London in 1807 by Random and Sneath of Bloomsbury Square. The two engravers were both well respected for their work in stipple and aquatint and collaborated over this delightful print. Philip Reinagle began his career as a portrait painter and pupil of the court painter, Alan Ramsay. 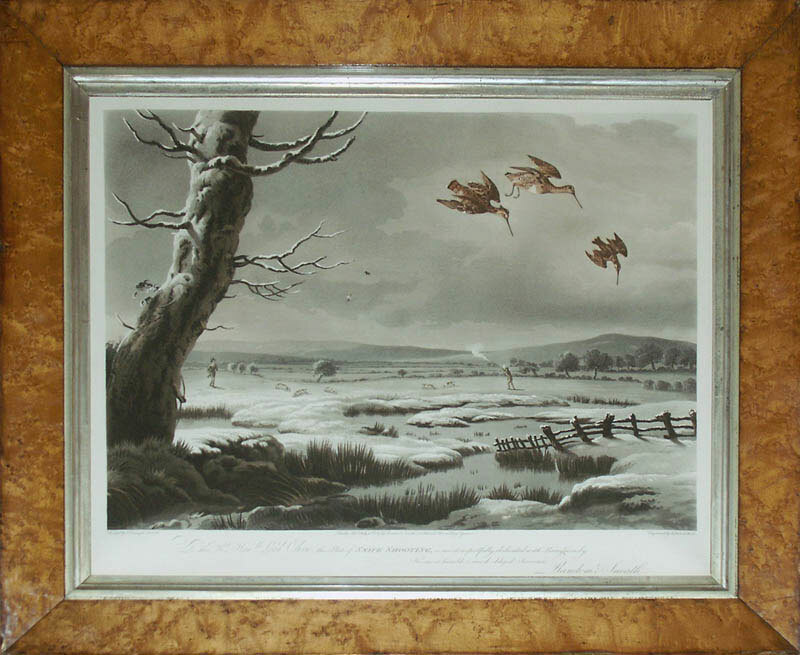 It was, however, in the field of sporting art that he was to flourish and this scarce scene of snipe shooting is a very good example of his work. On a frosty winter’s day two marksmen are out in the fields as improbably large snipe fall to the ground.